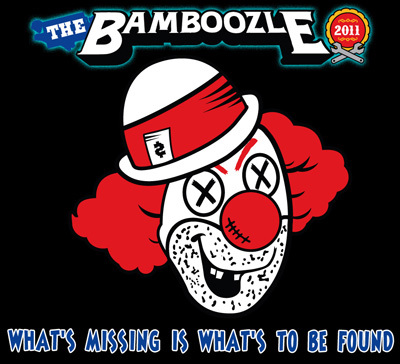 Saffire is competing in a preliminary round against other bands for chance to perform on the main stage at The Bamboozle New Jersey 2011 . 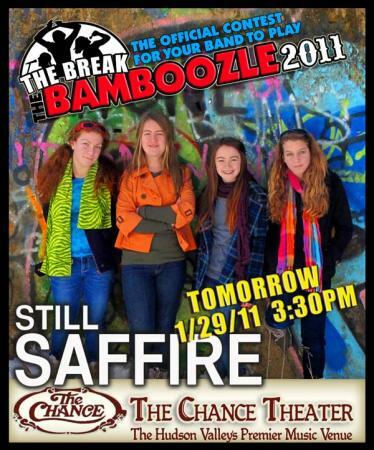 Just to get this far is good for Saffire, as at least 75 other bands have already been turned down. Each competing band is given 75 tickets ($12 each) to sell, and Saffire will need to sell at least 40 tickets to stay in the running. This wouldn't be hard with Saffire's loyal fan base except Poughkeepsie is a long haul. But this could be fun - do we hear "ROAD TRIP!"? Here's the plan - You buy the ticket through Saffire, and we'll provide R/T bus transportation, leaving from/returning to Nyack. Party at Saffire member's house afterward. Come on now - for $12 you can't go wrong!! So keep posted for more details.